Balinese cats are part of the oriental family. These long haired cats occurred sporadically within litters of Siamese. In the 1950’s Smith and Dorsey of Merry Mews Cattery in New York commenced a breeding programme specifically for these cats. Longhaired Siamese were recognised in 1961 and named Balinese by a breeder who thought the cats reminded her of Balinese temple dancers. The breed arrived in Europe in the mid 1970’s. This medium sized cat is similar to the Siamese in many ways except for is semi long haired coat and plumed tail. They can be seen in four main colours, seal, chocolate, lilac and blue and they have blue eyes. They are extremely intelligent cats that are animated, extroverted and vocal. They are said to be less vocal and demanding than the Siamese. These cats are not lap cats and are happiest in households where they are actively involved with the family. Regular grooming is not as critical as with other long haired breeds as the coat is silky and tends not to matt. However, it will help reduce the amount of hairs shed around the house. 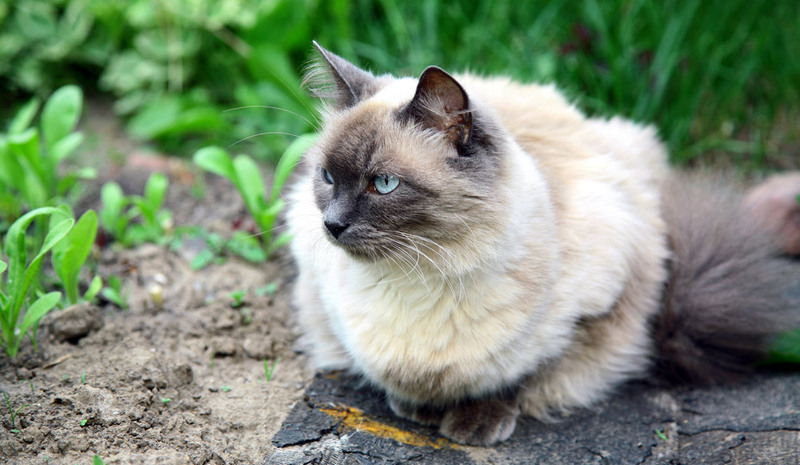 Mammary Tumour – Balinese cats have an increased risk of developing breast cancer in comparison to other breeds. Signs include breast lumps, ulceration, swelling and/or pain. Cancers – They are predisposed to developing certain cancers including nasal cavity tumours and small intestinal adenocarcinoma. Progressive Retinal Atrophy (PRA) – Degenerative condition leading to blindness. Feline Asthma – Allergy resulting in a progressive chronic bronchitis. It cannot be cured and requires on going treatment once diagnosed. Pyloric Stenosis – Narrowing of the entry to the stomach which causes vomiting. Hydrocephalus – Abnormal accumulation of cerebrospinal fluid in the brain. It can be inherited or as a result of infection or trauma.